Small business owners’ view of the economy may have improved in 2012, but 71 percent still believe the United States economy is in a recession according to results of the 2012 U.S. Bank Small Business Annual Survey. Closer to home, the survey found more small business owners consider the financial health of their company as “good” to “excellent.” Sales volatility is less of a concern now than in years past, and the number one business issue on their minds in the 2012 election is healthcare reform. The U.S. Bank Small Business Annual Survey polled 3,220 small business owners with $10 million or less in annual revenues. Owners were surveyed between March and April 2012 in the 25 states where U.S. Bank provides small business banking services, primarily in the Midwest and Western United States. The questions centered on economic conditions, business conditions, business challenges, 2012 election issues, work/life balance and banking relationships. Business conditions improve, economy still a concern Overall, 69 percent of respondents said the financial health of their business was “good,” “very good” or “excellent,” up from 64 percent in 2011. This year, 29 percent said they saw revenue increase over last year, which is up slightly from 26 percent in 2011. Less than half expect to see revenue improve next year, however the numbers jump among businesses with at least $1 million in annual sales. For these larger businesses, 40 percent saw an increase in sales over 2011, 58 percent expect revenue to grow next year and 34 percent say they plan to hire in the next 12 months. “Economic uncertainty” remains the number one concern cited among respondents, however “poor sales” – the second-biggest challenge for the past two years – is less of a concern in 2012 with only 12 percent citing sales as a challenge. Healthcare reform is a growing concern, with 60 percent saying they believe it will negatively impact their business, up from 57 percent in 2011 and 55 percent in 2010. States where small business owners are less concerned about healthcare reform than the national average include Washington, Oregon, California and Illinois. Top small business issues for the 2012 election The five top business issues on the minds of small business owners in the 2012 election are healthcare/Medicare, jobs and unemployment, taxes, the federal deficit/debt and Social Security. When asked which issues are more important this year versus the 2008 election, most said healthcare/Medicare, followed by the federal deficit/debt, jobs/unemployment, energy costs and taxes. When asked what they would do if they were the president of the United States for one day, small business owners said they would lower taxes, reduce regulations and tackle health insurance issues. Work/life balance, expectations of their bank similar to 2011 Small business owners say their work/life balance is mostly unchanged over 2011. A majority say they are always on the go. Slightly more than half say they can take time off whenever they want and plan to take at least two weeks of vacation this year. One change since 2011 – more owners in 2012 said their business is their life and their life is their business – up from 34 percent in 2011 to 45 percent in 2012. When it comes to their banking relationship, small business owners say that in addition to helping them manage their financial transactions, they expect their bank to know them and their businesses individually, deal with them in a transparent, straightforward manner, make more money available and adjust to meet their individual needs. Businesses with higher revenue and more employees generally said they want their bank to serve as a business partner and assist with retirement and succession planning. Only 35 percent of owners with at least two employees or who are 55 years and older have an exit or succession plan in place. Full results of the survey are available on Connect, along with data specific to small business owners in Arizona, Northern California, Southern California, Colorado, Illinois, Minnesota, Missouri, Ohio, Oregon, Washington and Wisconsin. Connect is a new website from U.S. Bank (usbankconnect.com) that offers tools and insights for small business owners who are at any of the business life cycle from start up to retirement. It is the latest small business innovation from U.S. Bank, which is one of the top small business banks in the nation. 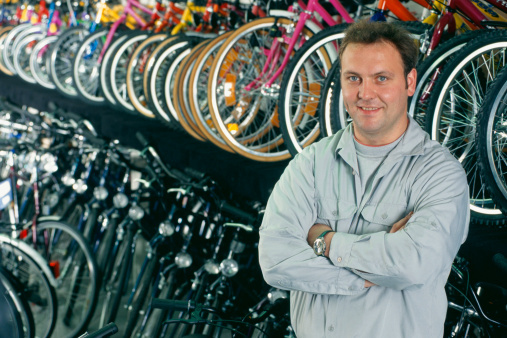 U.S. Bank continued to lend to small businesses throughout the recession. In 2011, U.S. Bank set a new company record for Small Business Administration (SBA) loan approvals with a total of $630 million. The previous U.S. Bank record, set in 2008, was $504 million. U.S. Bancorp (NYSE: USB), with $341 billion in assets as of March 31, 2012, is the parent company of U.S. Bank, the fifth-largest commercial bank in the United States. The company operates 3,080 banking offices in 25 states and 5,061 ATMs and provides a comprehensive line of banking, brokerage, insurance, investment, mortgage, trust and payment services products to consumers, businesses and institutions. U.S. Bancorp and its employees are dedicated to improving the communities they serve, for which the company earned the 2011 Spirit of America Award, the highest honor bestowed on a company by United Way. Visit U.S. Bancorp on the web at usbank.com.